This gray plastic top hat for a 32 gallon trash receptacle measures 24 1/4" and weighs 13 lbs. 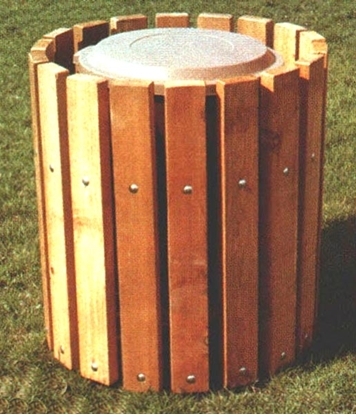 Dome tops for your trash can receptacles provide a clean environment as it keeps trash in and rain out. All sales are final on trash can lids.